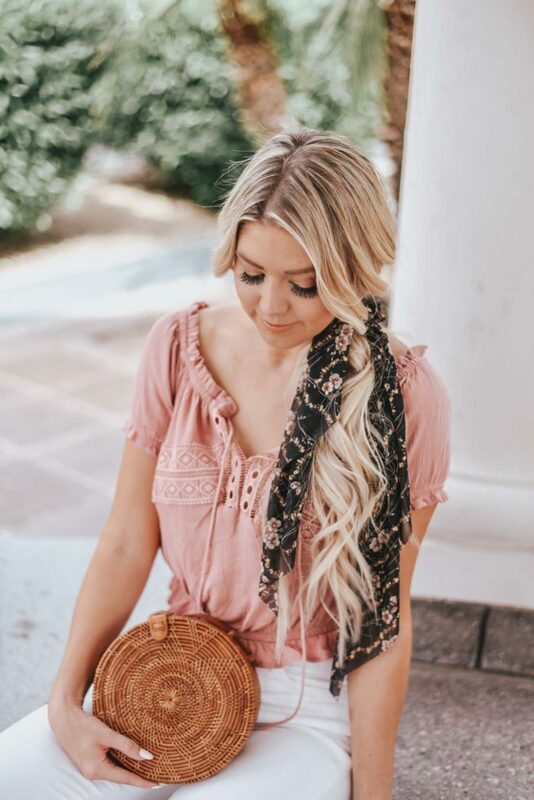 The perfect little spring top from Shop Priceless! It comes in three colors and pairs perfectly with a pair of high rise jeans. 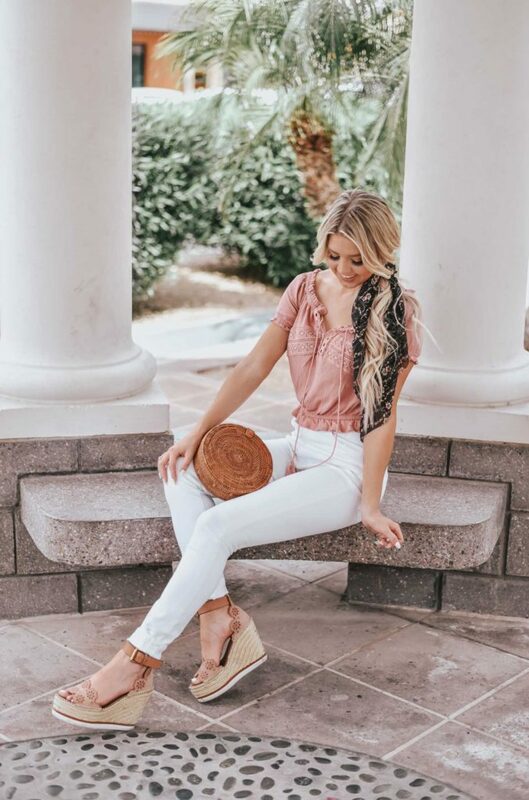 I am loving this pair of white jeans from Revolve. They are so flattering and comfortable! If you’re looking for a quality pair of white pants, these are it! SO worth the price! My favorite pair of wedges for Spring have to be my See by Chloe wedges. They are a bit of an investment but so worth it. I wear them CONSTANTLY! Perfect with my favorite straw crossbody bag too. 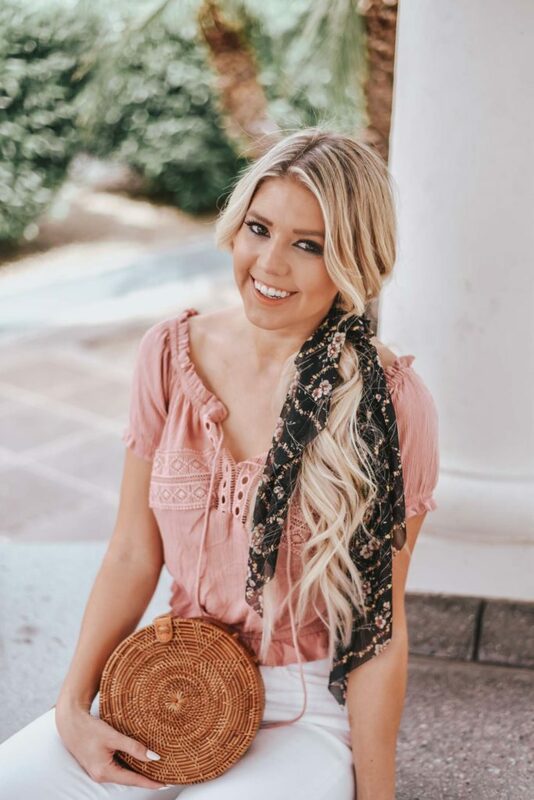 This is the perfect spring look! Thank you to Shop Priceless for sponsoring this post!